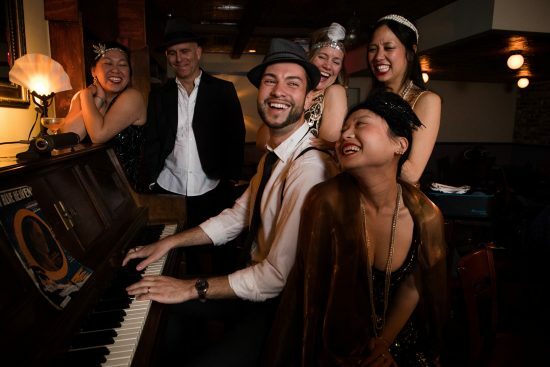 Walk down the cobblestone alley, descend the steps of a darkened stairwell and immerse yourself in a decadent 1920’s jazz nightclub from a bygone era. 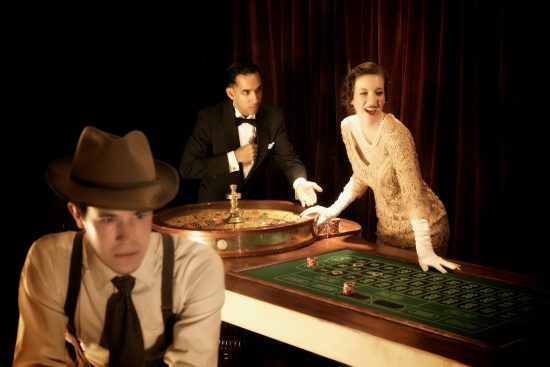 The entire speakeasy is your playground – secret passages and all – there are many rooms to discover throughout the night! 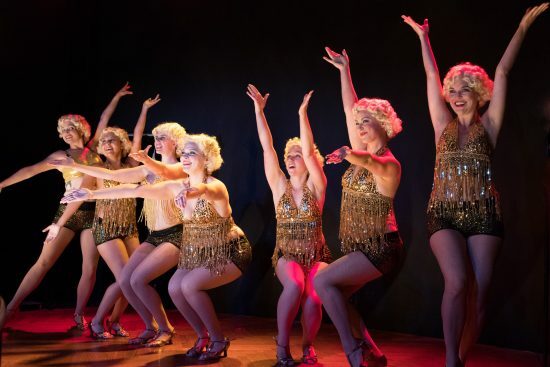 Full of hot jazz music, dancing floorflushers and endless spectacle, our Cabaret is a great place to pop a bottle of bubbly and take in a show! 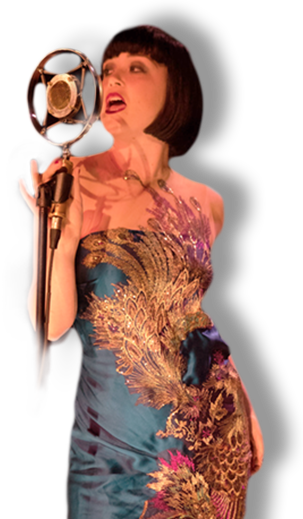 Enjoy song, dance, and the glitz and glamor of the Roarin’ 1920s. A dimly lit room perfumed by sweet vermouth and the sounds of a player piano. If you’re looking for drama and theatrics, sidle up on a barstool, order some giggle water, and witness stories and people of a time not so long ago. The roll of the dice, the flip of the card, the spin of the wheel. Test your luck at games of chance and have unscripted interactions with the characters in our extravagant Casino. The faint smell of cigar smoke lingers in the air as the inner workings of this illegal establishment come to life with shady deals and broken promises. Joe’s Clockshop may be the face of the club, but this room is what makes is all tick. A gramophone croons out music and the grandmother clock softly chimes as guests and characters mingle with one another. Play games, discuss politics, or get absorbed into a conversation about hopes and dreams for the future. The Parlor is a comfortable room to immerse yourself in the nostalgia and authenticity of the era. Jewelry boxes lightly dusted with make-up powder and fringed dresses hang on the backs of crooked chairs. Observe all the backstage drama unfold through a two-way mirror in an intimately voyeuristic experience. Remotely tucked away behind the spiral staircase is a hidden bar. Featuring a secret drink menu and a private blackjack table, this handcrafted room is exclusive. Free from the drama of the night, it is ideal for guest wishing to socialize. What's the dress code policy? Our dress code is strictly enforced on Saturday, and optional on other performances. However, we encourage all of our patrons to dress up no matter what date they are attending to be fully immersed in the fun. 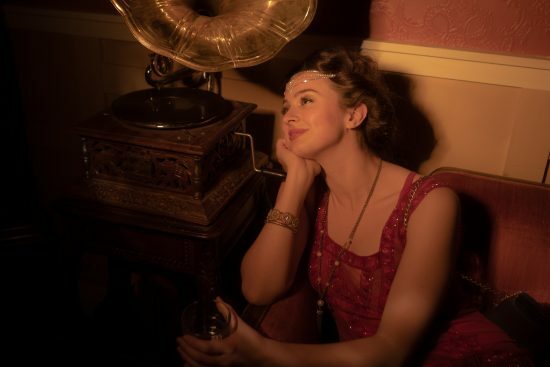 1920s apparel is preferred, and cocktail attire is also acceptable. 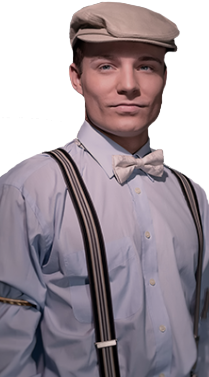 Cocktail attire includes a button down collared shirt and tie with slacks and dress shoes; or cocktail style dresses and dress shoes. Tennis shoes, yoga pants, T-shirts, denim, or other casual clothes are not considered acceptable on Saturday evenings. Patrons who are dressed up are more likely to be chosen for audience interaction. Costume and accessories are available for rent and/or purchase for any performance. 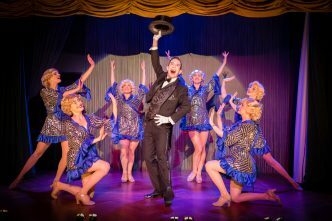 See our costume rental page or contact The Dressing Room at wardrobe@thespeakeasysf.com. Can I win real money in the casino? What is the Gaslamp Lounge? 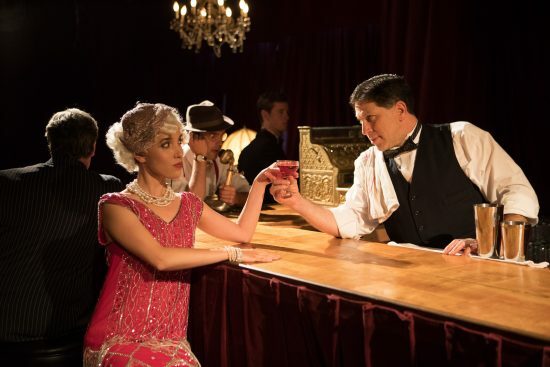 The Gas Lamp Lounge is a secret bar within The Speakeasy accessible to anyone during the show. It provides relief for patrons looking to get away from the action of the play. It is also available to rent for private pre-show and post-show receptions. Am I able to carry my drink with me throughout the Club? What is the difference between Premium and General tickets? Should I reserve a seat in the Cabaret? There are two unique 45-minute shows in the Cabaret. Anyone may reserve a Reserved Premium Seat or VIP Booth for one or both showings. While reservations are not necessary to watch the show, we highly encourage patrons to reserve a seat to guarantee a spot as it is first come first served for those without a reservation. How much are the Premium Reserved Seats and VIP Booths? If tickets for your preferred performance are no longer available online, they may still be available via the box office. Please call 415.891.9744 for last minute availability. Can I buy same-day tickets? Is there a box office I can visit? Same day tickets are available online until 4pm. After that, call the box office at 415.891.9744 to check availability. Same-day sales end at 7:30p. 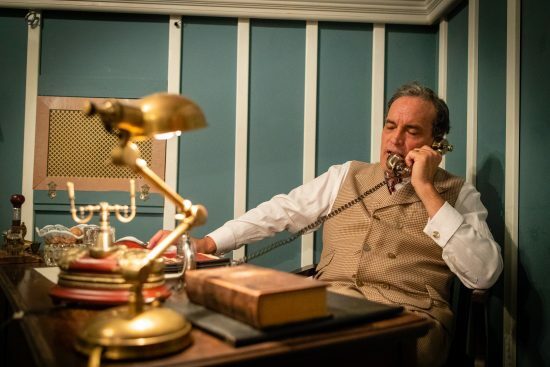 There is no physical box office; we operate online, and by email and phone only. Due to the nature of the content we recommend guests be aged 16 and up. Underaged guests will be stamped and must be accompanied by an adult over the age of 21. We ask that patrons with underage guests notify the box office before or at arrival. What about groups? Do you offer discounts? We do not offer group discounts. For larger groups, we encourage you to explore different rooms and compare notes. Narrow passageways and intimate rooms are best experienced with smaller groups or as an individual. For groups of 10 or more, contact our box office by calling 415.891.9744 or emailing boxoffice@thespeakeasysf.com to hear about our group options. Why are some of your prices listed in cents? If you pulled out a twenty dollar bill in 1923, you’d be buying a round of drinks for the entire bar. To keep you in the world of the play, all prices at the venue are listed in cents. When you get your bill, you will discover that one cent in 1923 equals one dollar today. Why do I have to set up a bar tab in advance? Credit cards did not exist in 1923, so they don’t exist in our world either! Our secure bar tab system preserves the authenticity and ensures a smooth experience for all visitors. We automatically open tabs for patrons who saved their credit card when purchasing tickets. For those patrons who didn’t save their credit card, wish to change the card on file, or are guests of the ticket-holder wishing to set up their own tab, click here. The exact location of the performance and further instructions are sent via text and email at 5PM the night before your visit. However, be prepared to travel to a discreet location where North Beach and Chinatown coalesce. What are the parking and transit options? Many of our guest choose public transportation, ridesharing, or taxi service (our drinks are very strong!). Our location is a 15 minute walk from Montgomery BART, and accessible on Muni lines 8, 10, 12, 30, 41, and 45. If you would like to drive, there are several conveniently located parking garages, including the Vallejo Street Garage, the North Beach Garage, and the Portsmouth Square Garage. Street parking is free after 6p, but limited. Is The Speakeasy accessible for those with disabilities? Yes. 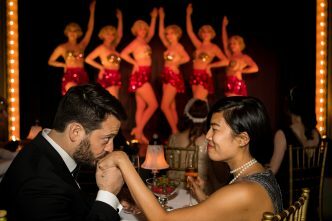 Please book your reservation, then call 415.891.9744 or email boxoffice@thespeakeasysf.com to arrange accessible entry. 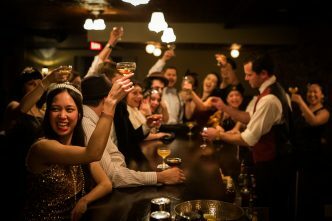 Whether it’s your birthday or a friend’s bachelorette party our gin joint provides a delightful night for celebration. From first date to fortieth anniversary, treat your sweetheart to an unforgettable romantic evening! Looking for fun things to do in San Francisco? Visitors and locals alike agree The Speakeasy is the bee’s knees!